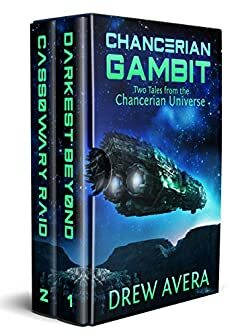 From Drew Avera, author of the best-selling space opera series The Alorian Wars, comes an all-new space adventure. After several generations of living in the outer systems, humanity has overpopulated the small planets and laws have been passed to limit procreation to preserve resources. Instead of being put to death, violators must surrender their children to serve in the military and aid in the expansion of humanity out into the darkest reaches of space. But military life is like prison for many people, and the laws against fraternization carry a stiff penalty. Commander Calibri Reese is an officer in the Chancerian Navy. Upon reporting as the executive officer of the Krylex, she encounters a man named Luke Lorenzo. Their friendship blossoms into something that neither one of them can contain, and by giving into that temptation they threaten not only their own lives, but that of the crew as well. Will a late-night rendezvous mean the end of the Krylex, or will their crime be discovered and their love cast out into the darkness? From the pages of The Expanding Universe Vol 2, Cassowary Raid is a fast-paced story about one man's past coming back to haunt him in the worst way he can imagine. Tom has tried to forget the terror of his youth. Enlisting in the Chancerian Navy, he hoped to put everything behind him and start anew. But fate has another plan for his life as the mighty Cassowary comes under attack by a band of rogue pirates. Familiar faces will put his loyalty into questionâ€¦and his life. Cassowary Raid is a short story set in the Chancerian Universe.